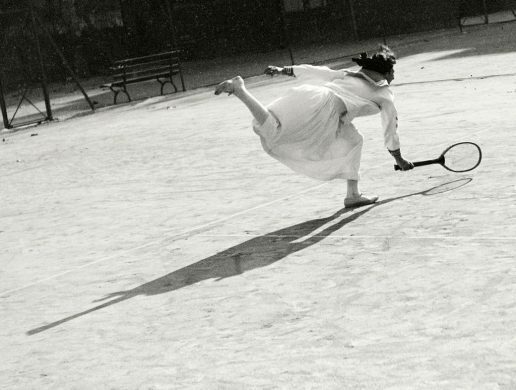 Just in time for Roland Garros 2017, the Paris gallery Le Voleur d’Images has organized an exhibition of photos of tennis players in motion by Jacques Henri Lartigue from May 24 to September 15, 2017. Lartigue, a sports lover who himself proved to be a gifted tennis player, had a passion for capturing people and things in mid-air, and many of his most magical pictures immortalize the balletic gestures of amateurs and champions on the tennis courts. 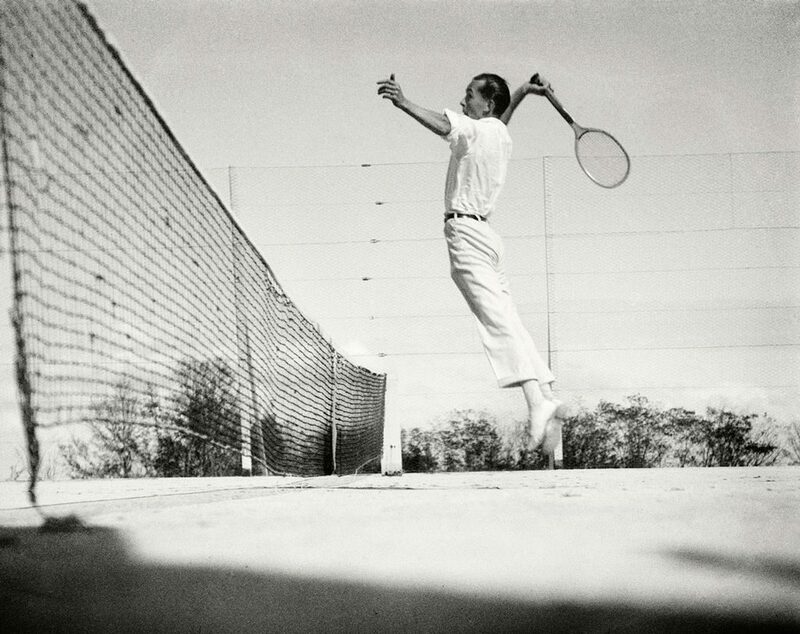 The exhibition “En vol, le tennis vu par Lartigue” brings together images from 1910 to the 1930s of tennis legends such as René Lacoste, Suzanne Lenglen or Julie Vlasto, as well as more intimate shots of Lartigue’s family or even himself. His lively, energetic images of fleeting moments on sunlit tennis courts are some of Lartigue’s most impressive examples of mastering time and movement. On a small screen in the gallery, a jewel – a short film by British Pathé, How I play tennis, dated 1925, allowing us to study the graceful movements of Lartigue’s childhood friend, the national champion Suzanne Lenglen, in slow motion. Galerie du Voleur d’Images, 9 rue Saint-Simon, 75007 Paris.